What is Grave's Disease and What Causes It? What is Grave’s Disease and What Causes It? Graves’ disease is the # 1 cause of hyperthyroidism in the United States. It’s a well-documented autoimmune disease where your thyroid produces too much thyroid hormone. This can produce anxiety, hot flashes, sweating attacks, an increased appetite, insomnia, weight loss without change in eating or exercise habits, and heart palpitations. While on the surface many joke about wanting this because it tends to come with a decrease in weight, it has can have fatal consequences if the heart palpitations cause the heart to stop. Because of the risk of heart attack associated with Graves’ disease, normally when a person gets diagnosed, they are put on heart medications and the thyroid either gets irradiated or gets surgically removed. This leaves a person with no thyroid and they become hypothyroid. Because they are now permanently hypothyroid they placed on thyroid hormone medication the rest of their life. Unfortunately, standard treatment ignores the immune system at the root cause of the disease! Graves’ is an autoimmune disease and nothing has been done to help the floundering immune system. On top of it all, the immune system dysregulation can block the thyroid hormone from really having its effect. This means you can still feel sick AFTER the surgery and after being on the medication that supposedly solved your problem. Below is a diagram helping to visually illustrate Grave’s Disease. The big key to this diagram is NOT to replace anxiety meds with Valerian Root or Beta Blockers with Motherwort. These are natural substances aimed at the same target as the medication which can be helpful for some patients, but the key point we want to make is aiming at the anxiety, the heart, or even directly at the thyroid gland will never cure this disease! The disease is coming from the immune system! The thyroid is actually working terrifically in Grave’s disease. It is the immune system that needs more attention in patients with Grave’s Disease! Don’t Be Fooled by the Thyroid! In the past few years their have been a plethora of magician movies and shows. Think of shows like America’s got Talent to Penn and Teller Fool Us or movies like The Prestige and Now You See Me. In the movie Now You See Me, Morgan Freeman’s character explains a trick by saying, “When a Magician wave’s his hand and says, ‘this is where the magic is happening’ the real trick is happening somewhere else.” This is what is happening in Grave’s disease. 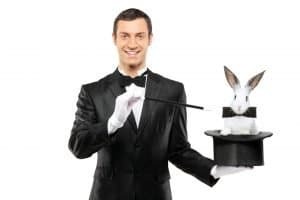 Don’t be fooled by the Magician waving around a thyroid! The real trick is in the immune system! If you have Graves’ disease please consider doing some things to help your immune system as that’s the cause of your thyroid problems. Don’t let the thyroid steal all the attention. 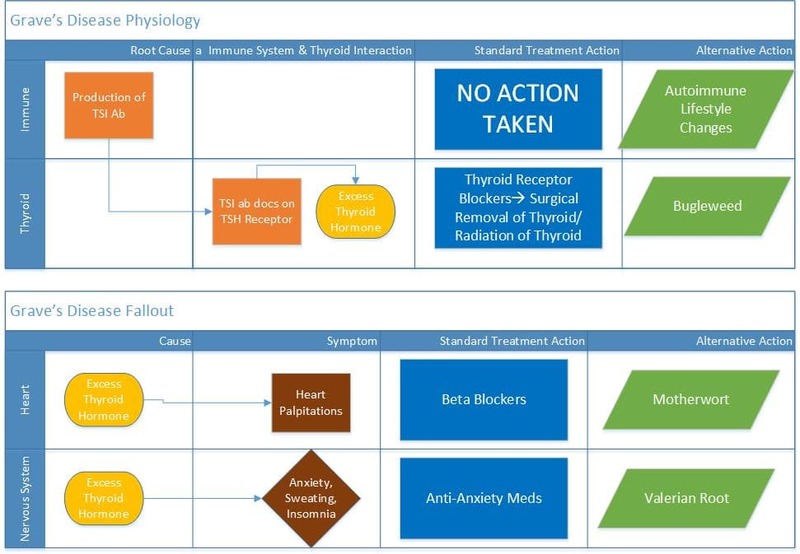 The thyroid is a victim or a rogue immune system that you drastically need to regain control of it. For more on autoimmune diseases and balancing an immune system please read our other articles.